Paula Walters (Chair) heads Programme Management at Public Health Wales. Paula has over 28 years of experience working in the public sector in roles at the Vale of Glamorgan Council, Welsh Local Government Association and between 2008 and 2018 she was Director at the NHS Centre for Equality and Human Rights. In the latter roles she sat on a number of Welsh Government policy groups and values working through partnership and project groups to influence key policy makers and service provider agencies. Jessica Taylor (Vice Chair) is an organisational development consultant, safeguarding and charity governance expert, and works across the UK and internationally on a range of equality and social justice projects. Jess also has 16 years’ experience of developing, delivering, managing and capacity building a range of services for people whose lives have been impacted by domestic violence, sexual violence, and offending behaviour at an operational and strategic level. Danielle Dolby (Treasurer) brings to the board of Trustees a wealth of financial experience. She joined Dyfed Powys Police in 2008 as a trainee accountant, passing her final exams with CIPFA in 2012. She has continued to work with Dyfed Powys Police within the financial accounts section. Joy Dyment has been involved with raising awareness and promoting domestic abuse services on an operational and strategic level throughout her career and has well developed networks across North Wales in statutory, criminal justice and voluntary organisations. Joy has worked in the criminal justice sector for many years with adults and children, initially with the North Wales Probation Service and more recently with Children’s Services. Joy previously held the Chief Executive role with Stepping Stones North Wales, and has extensive experience supporting adults who have been sexually abused as children. Rachael Eagles has over 5 years working in the field of domestic abuse and is Chief Executive of Calan DVS. Rachael is a trained and qualified IDVA and a regional representative for specialist services at regional partnerships in the Mid and West Wales region. Morgan Fackrell has been a community activist and campaigner for over 30 years. Through her work within the women’s movement, advice and advocacy, and the lesbian and gay liberation movement she developed skills, knowledge and expertise which shaped her approach to her community work and public service. For nearly 25 years Morgan has worked at senior/strategic or chief executive level and is currently Chief Executive of Cardiff Women’s Aid, but she has never lost her connection with the day to day work being delivered. Julia Hobbs is Chief Executive of St John’s Wales. Previously Julia was Chief Executive of a local Women’s Aid service, following a career spanning the health, business and charity sectors. A place on an NHS leadership scheme allowed Julia to capitalise on her innovative approach to health promotion and management in the UK, US and Canada. Welsh Women’s Aid employs around 50 dedicated staff across Wales, working on membership and engagement, communication, training, policy and public affairs, services development, survivor involvement, business support, and in direct services. We also have regular volunteers who work at our direct services. 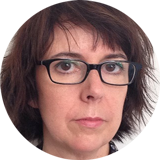 Eleri Butler joined Welsh Women’s Aid in November 2014, having worked for 28 years in various capacities on domestic abuse, equalities, and violence against women prevention in England. Originally from Aberystwyth in mid-Wales, Eleri has a background in sociology and housing, and holds a Masters degree in Film. Her career involves developing, delivering, managing and commissioning domestic abuse/violence against women services; policy and strategy development and delivery; partnership and multi-agency coordination; managing European equality projects; training, campaigns and consultancy. This includes working on a domestic abuse national helpline and in refuge services, leading on domestic abuse at the Westminster Supporting People National Implementation Team, contributing to the first UK Government Violence Against Women and Girls Strategy, working as the UK Violence Against Women lead at the Women’s National Commission, commissioning domestic and sexual abuse services, and delivering survivor involvement projects. Eleri joined Welsh Women’s Aid having previously worked as the CEO of a London-based women’s centre and violence against women service. Eleri contributes to a range of national and regional advisory boards in Wales, including the Welsh Government National Violence Against Women Advisory Board. She is committed to ensuring that women and children who have experienced violence and abuse are central to developing and delivering improvements in services, policy and partnerships in Wales. In 2007, Eleri was awarded an MBE for services to women and children experiencing domestic violence.